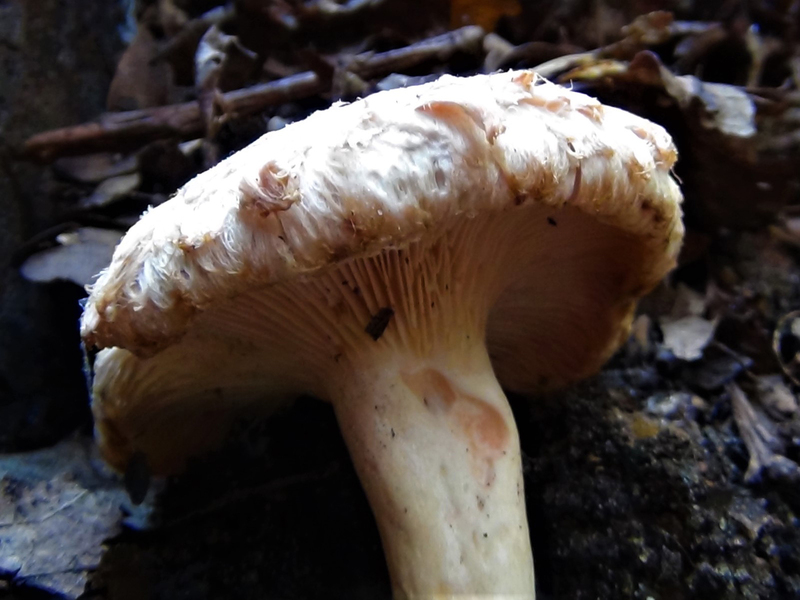 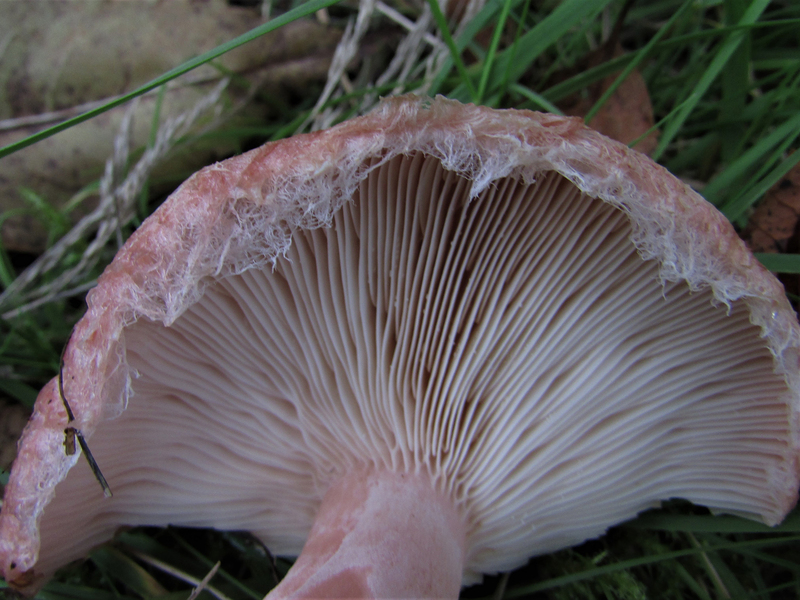 A fairly easy to identify family of mushrooms with lactating gills and flesh. 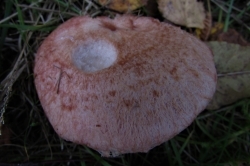 Convex becoming depressed in the middle and having ‘woolly’ inturned edges. 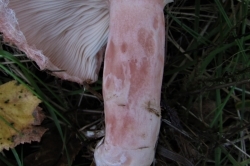 Pale salmon/orange with darker scaled concentric rings. 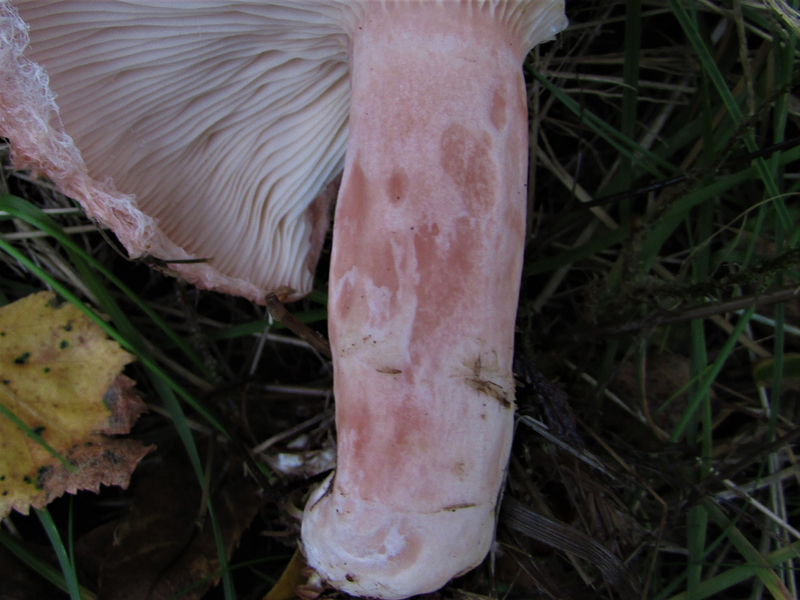 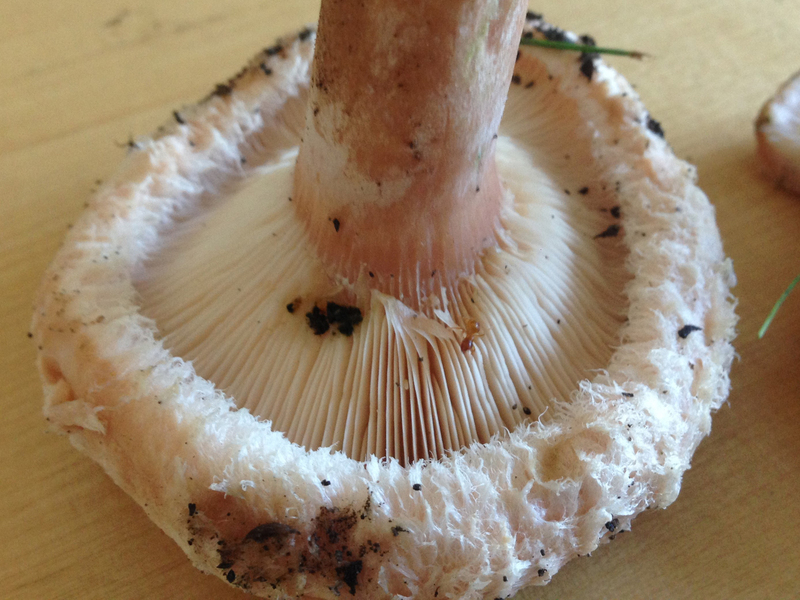 Gills white to pale salmon coloured almost running down stem. 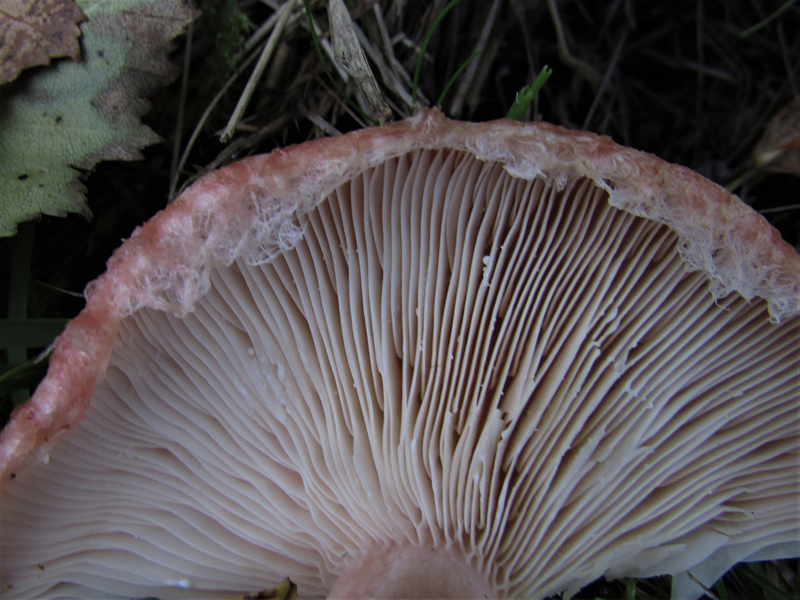 Very thin, fairly crowded and producing a white milk. 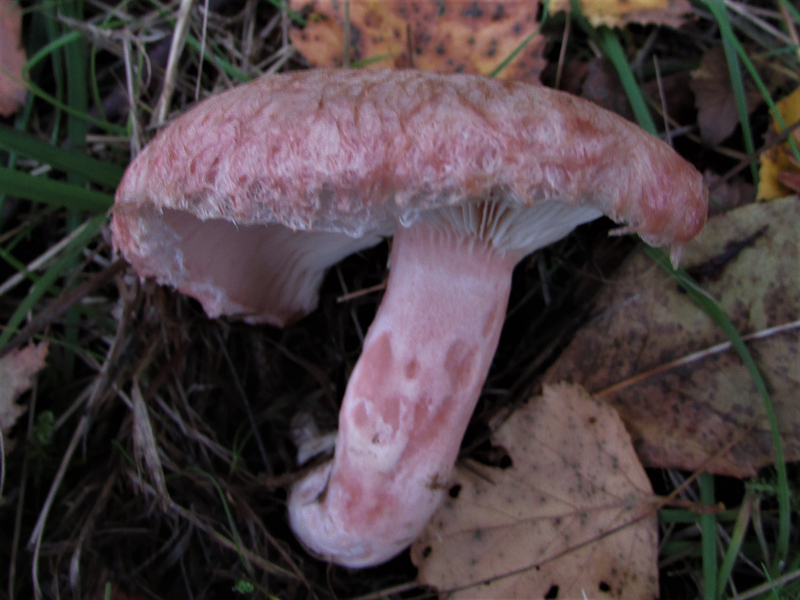 Pale pink to salmon-coloured. 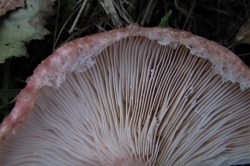 Hollowing in the middle. 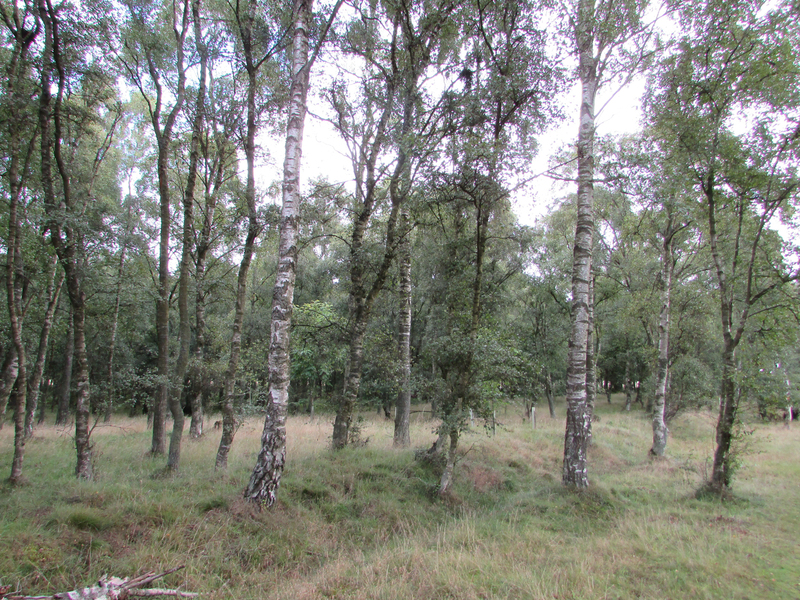 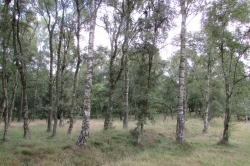 Mixed woodland and heath, particularly birch. 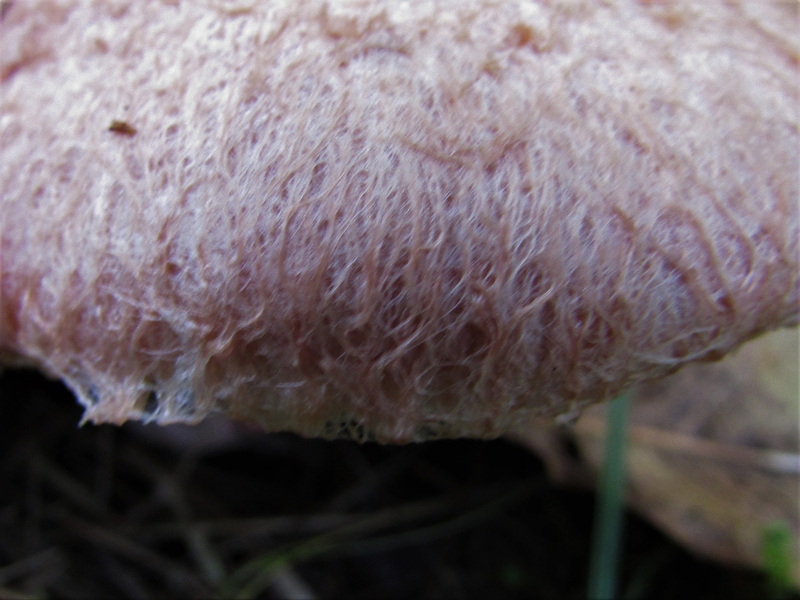 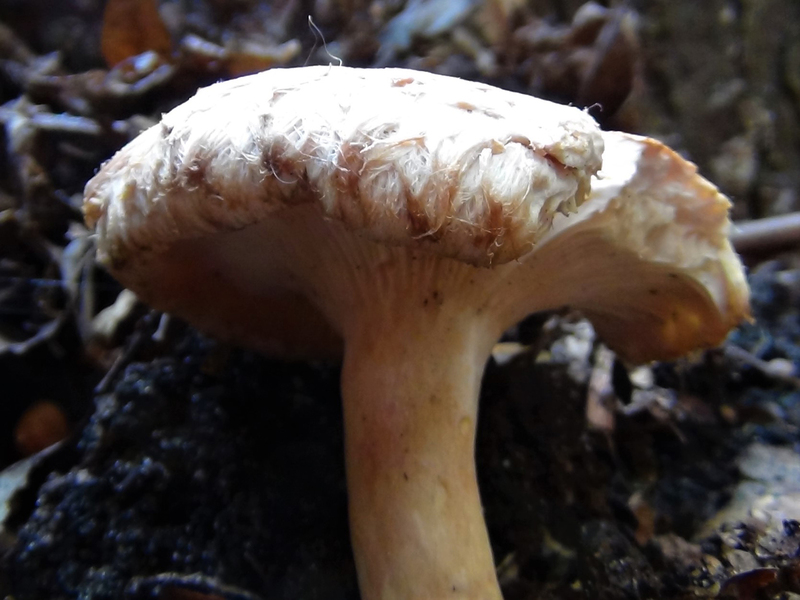 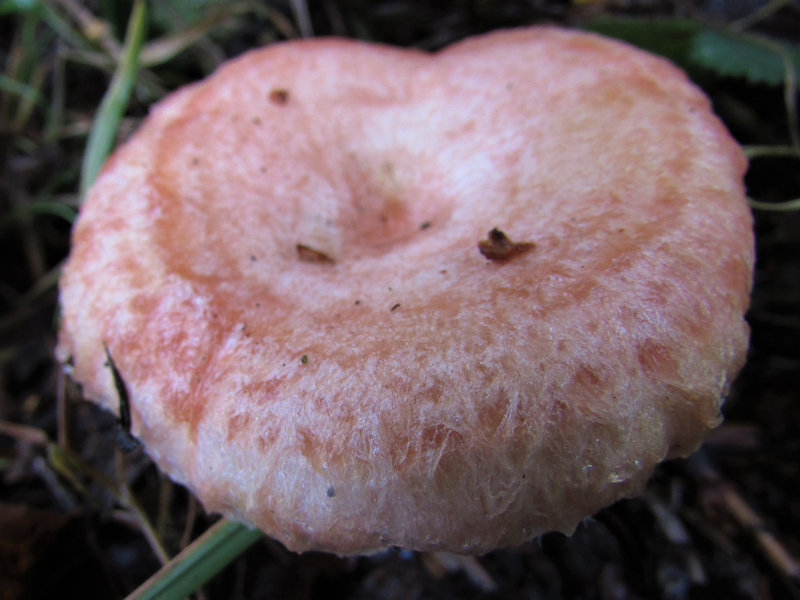 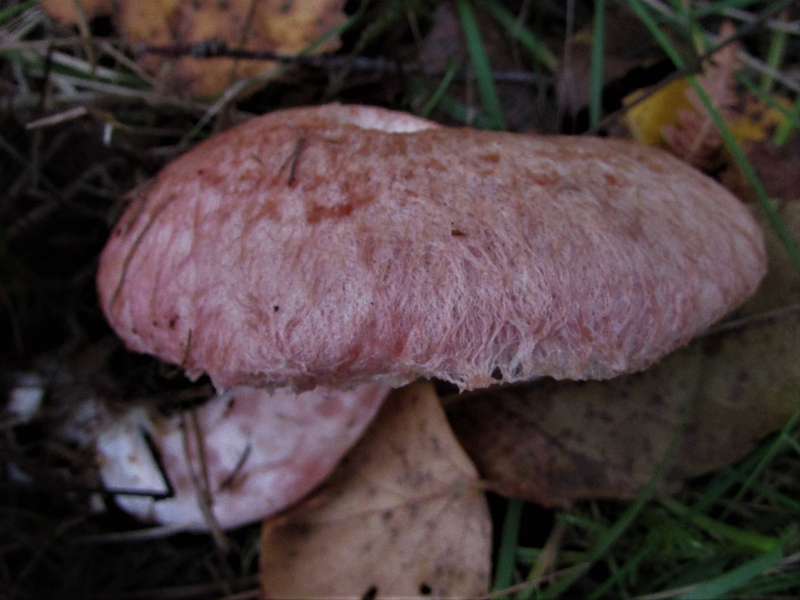 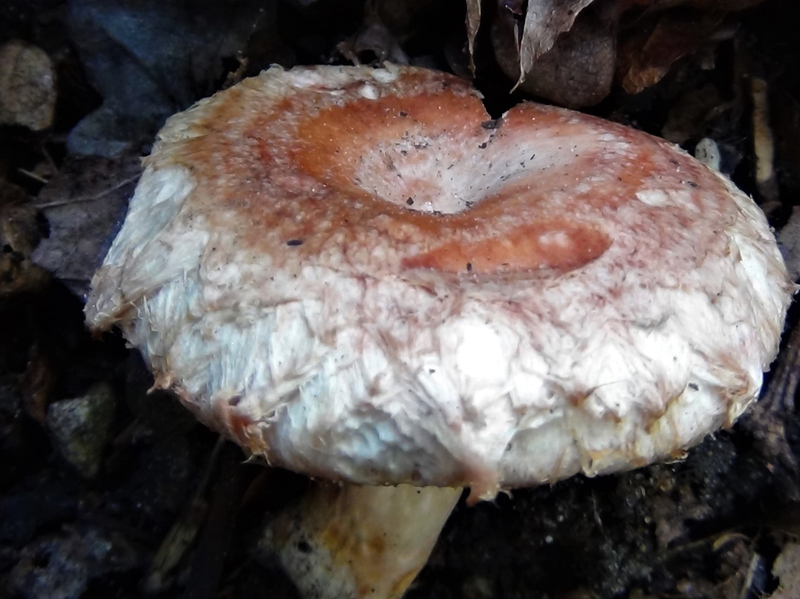 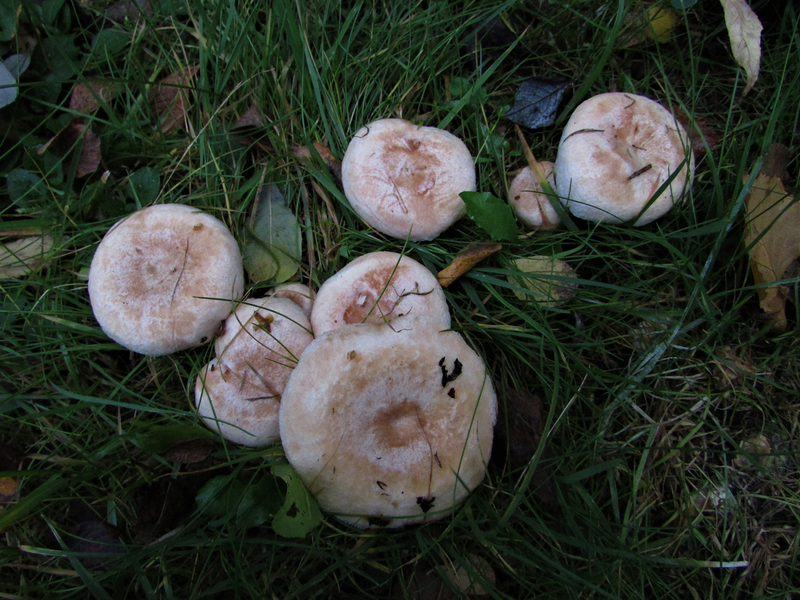 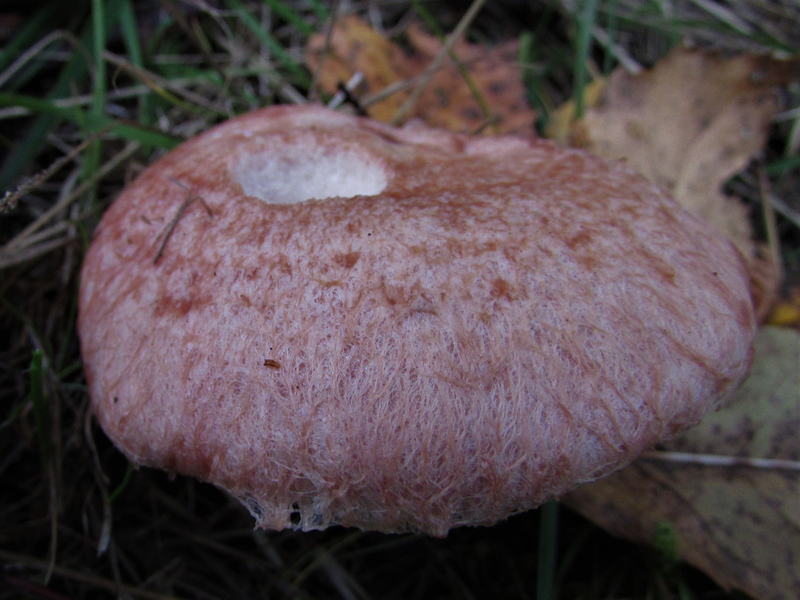 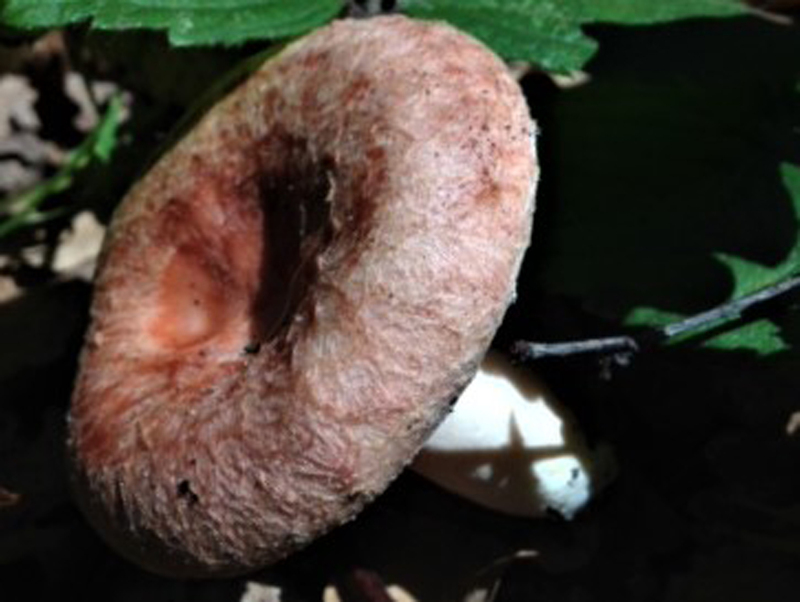 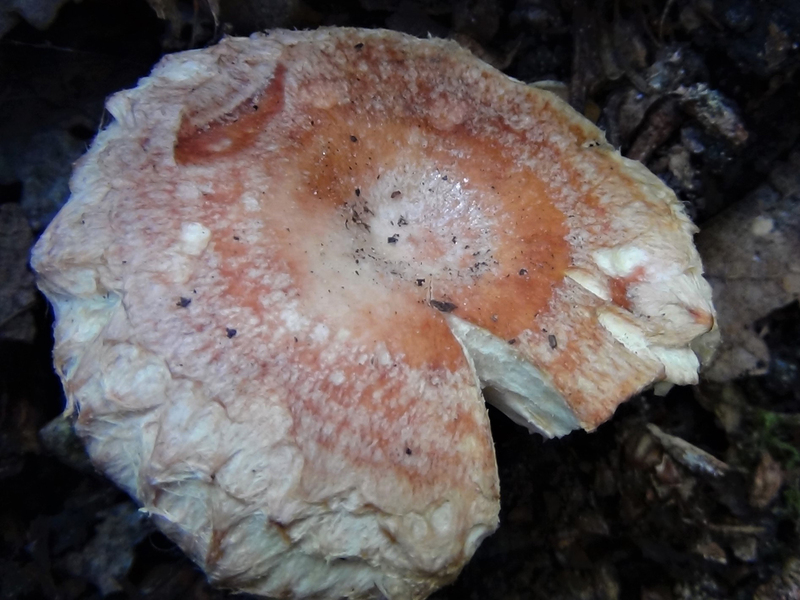 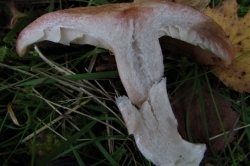 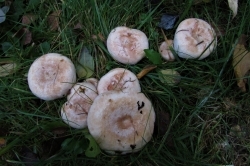 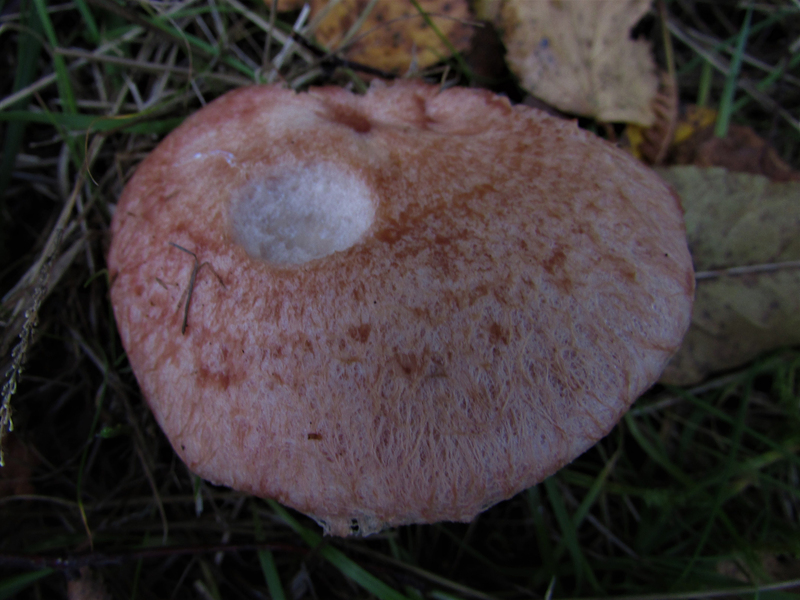 The Bearded Milkcap, Lactarius pubescens is similar but much paler and still poisonous, pictured.